Wish You Had Time to Do More? Consider Your Diem Carped! In 2018, TSheets by QuickBooks asked small business owners about the sacrifices they make in the name of entrepreneurship. Their answers confirmed what many of us already know: entrepreneurial pursuits take up most, if not all, of their time. 14% only take vacations every few years. 50% say they rarely, or almost never, take time off, even when they’re sick. 1 in 3 misses family occasions at least once a month. 1 in 2 small business owners works more than 50 hours each week. So, while the year is still new and its canvas pristine, let’s examine what can get the ball rolling, what can help with decision-making and how you can leverage readily available tools. You might find yourself taking seconds, minutes or even hours back in your day with some minor adjustments. Otherwise, you’ll find the year over and time still as elusive as ever, with plans that have come to naught and nothing to show for your efforts. 1. The two- and five-minute rules. If you tend to procrastinate, these rules are for you. David Allen calls the first “the art of stress-free productivity.” His two-minute rule goes something like this: go through your to-do list and if a task takes less than two minutes, do it now. It will kickstart your productivity, and the feel-good boost can be the catalyst you need to push through the entire list. Next, we have the five-minute rule. There are many interpretations on how to best use these 300 seconds. Take a five-minute break, or do five-minute standups, instead of one-hour meetings. We suggest using the five-minute rule to tackle big tasks. The thought of committing hours or days to anything is daunting, but anyone can spare five minutes. You’ll be in a productive state of mind in no time. 2. The Pareto principle: 80/20 rule. Economist Vilfredo Pareto observed this equation in connection with population and wealth, where 80% of Italy’s land was owned by 20% of the population at the time. Illustrated in the world of business, it shows 20% of your clients typically yield 80% of your revenue. Translated into action, it calls for concentrated efforts on specific levers to help your business achieve maximum efficiency. This method came in handy for Microsoft when they found that fixing 20% of the most reported bugs eliminated 80% of the related errors in a given system. Many business owners say they feel they’re being pulled in a million different directions when running their business. They’re playing every role needed and touting their multitasking skills proudly. But if you break down what you’ve been doing and honestly weigh the worth of each project or client to see if they’re contributing toward the critical 20%, will they ultimately amount to the inconsequential 80? 3. Give up control to gain more control. For many business owners, their business is like their child. Understandably, it’s hard to relinquish control. But, just as your child will grow and leave the nest one day, so must your business. Letting go is scary, but it can do wonders. If you have employees, empower them to expand and execute your vision, rather than play owner and operator yourself. If you don’t have employees yet, that doesn’t mean you can’t make day-to-day tasks easier on yourself. If you can’t afford to hire just yet, there is a whole world of business tools and apps that can help. If you’re still tracking time with pen and paper, and spending hours on manual entry for payroll, 2019 simply must be the year you stop. In a 2016 study, business owners estimated their time to be worth $170 an hour. How does that number weigh against what you’re currently doing for your business? It started with putting aside just $33 a month. Twelve years later, the same concept helped Kathleen to become her own boss and make a quarter million a year, with more than $1 million in assets. A short sprint of disruptive and drastic measures may yield some results, but they’re often temporary. Small, incremental steps, on the other hand, promise lasting success. So, start working on your business for the long run and not just in it to hit the daily goals. You don’t need more than 24 hours in a day. You just need to change how you use them. 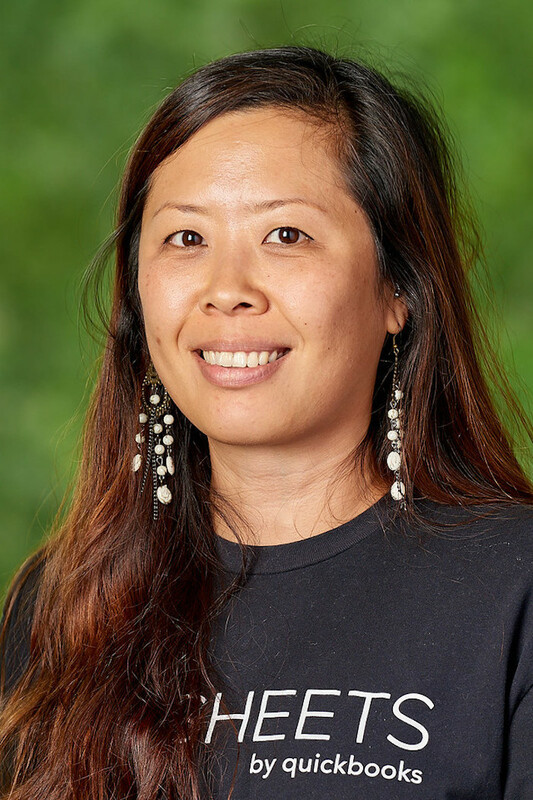 Prior to joining the copywriting team at TSheets by QuickBooks, Dottie Chong spent 15 years in marketing communications and content management focused on driving engagement and brand affinity. When no one is watching, she indulges in K-pop, knitting and karaoke, all at the same time.